Ever dream of having direct access to an A-lister, so you can discover how Hollywood really works? Get ready to learn the secret handshake: A Producer's Guide to Navigating Your Screenwriting Career puts you on the fast track to entertainment Industry success. It’s like a graduate film school-level education from an Academy-Award winner at a fraction of the cost! Edward Saxon, producer of some of Hollywood’s most enduring films, is your instructor through this entire intensive course he created based on his 25+ years in the Industry. He’s developed and produced movies at all the major studios, including Silence of the Lambs, Adaptation and Philadelphia, along with Independent films and projects in development at HBO and Amazon Studios. Combined, Saxon’s films have grossed over $700 million at the box office worldwide and garnered multiple Academy Awards. 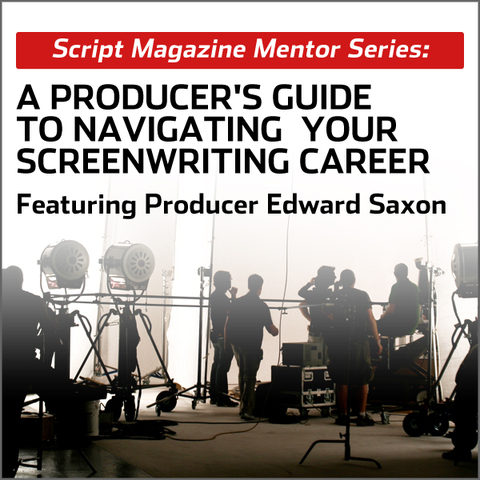 In A Producer's Guide to Navigating Your Screenwriting Career, Ed takes you on a deep dive into the real world of the movie business, with eight comprehensive lessons that cover everything you need to know to move ahead in Hollywood. It’s vital intel for anyone who wants to become a working part of the film Industry. The lessons also feature extensive resource materials specially selected to enhance your learning experience. Choose the package of all eight lessons at a special discounted rate for the most complete educational experience and a signed certificate of completion from Edward Saxon, or select individual lessons based on your needs. It’s time for you to stop wondering what really happens behind the Hollywood curtain. Sign up for A Producer's Guide to Navigating Your Screenwriting Career now and get ready to take your screenwriting career to the next level. Hollywood has complex structures that are commonly misunderstood by new screenwriters. If you don’t know whom to target and why, your chances of script-selling success are slim. Delve into the inner workings of all the different Hollywood buyers in “The System.” This webinar gives you detailed information on exactly how these power players function to arm you with the knowledge you need to confidently approach them with your work. Theatrical motion pictures and the major studios, independent distributors, and true independent films. Television networks and the primary importance of the writer as well as the studio role in TV production. No man is an island (not even a screenwriter), and you need a crew you can count on when it comes time to test the Hollywood waters. As the old saying goes, in Hollywood, it’s not what you know but who you know. That’s why it’s vital to build personal and professional networks that can help you become a thriving member of the film community. Using the web and social media to form collaborative groups and share vital information. While Hollywood loves to see the ticking clock technique used in a spec script, time doesn’t march forward as quickly on the business end of things. Everything rises and falls in Hollywood based on one thing: The Story. So it’s crucial to identify the kind of tale to tell that will sell to Industry professionals. It can be a long and winding road to entertainment industry success, but with access to some solid insider knowledge, there are some routes you can take for a much smoother ride. 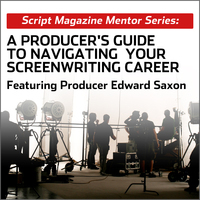 Let Edward Saxon show you the ropes in “The Path,” a webinar that illuminates the different directions you can take to have a career in Hollywood. One of the best ways to break into Hollywood is to understand the unique opportunities available now and how to take advantage of them. You put your heart into your screenplay’s plot and characters. Now, it’s time to think of yourself as the protagonist so you can slay some Hollywood dragons! Don’t miss out on your chance to study with an Industry insider. Download A Producer's Guide to Navigating Your Screenwriting Career now and get ready to take your screenwriting career to the next level!